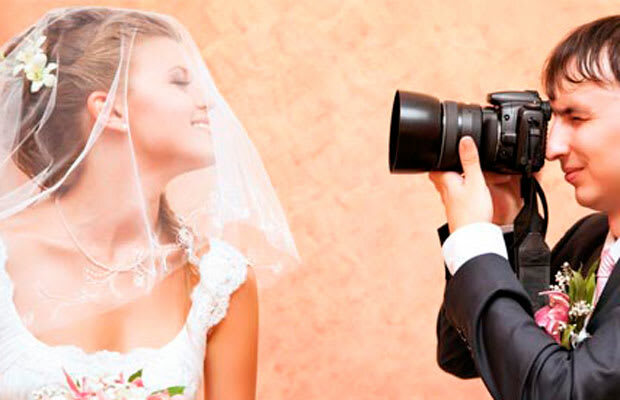 Nothing encapsulates the artificiality of a wedding quite like the hired photographers. Ugh, those guys. They're paid to ironically capture timeless moments while, simultaneously, shitting all over them. The couple stands at the front of the congregation. And, in a supposedly hallowed moment, some art school dropout with a Nikon is doing shoulder rolls in the aisle, firing off his flash bulb, and clapping that rapid fire shutter. Rather curiously, everyone seems to be cool with it. Wedding photos were overexposed (so to speak) before the camera phone. Now, all bets are off. Between the professional photographer, Facebook, and Instagram there are now a hundred pictures of the bride awkwardly waltzing to Van Morrison's "Brown Eyed Girl" during the father-daughter dance. Weddings have turned into concerts. Instead of enjoying the experience, onlookers prefer to prove they attended.